Shamica Vivekanand, Senior Director of Product Architecture at Aptitude RevStream, recently took part in Aptitude Software's charitable initiative with Q. Learning - 'Operation Kanchenjunga' - in a very rural part of Nepal. 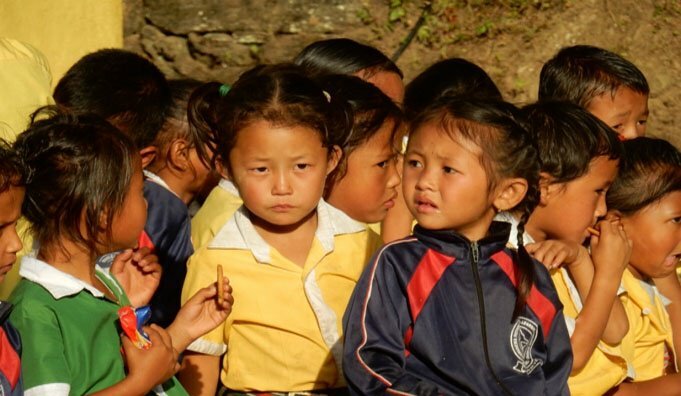 The initiative supports both the education and life chances of children in the remote Nepalese village of Hangdewa, opening un-foreseeable opportunities to an economically unfortunate community, by providing new computers, networking equipment, a server, and world-opening satellite internet connectivity at the school. From San Francisco, it took Shamica 4 days to reach the village of Hangdewa - deep in the Nepalese mountains. While Shamica made it there, unfortunately the donated equipment did not. She was able to install specialized software, not quite at the level of RevStream’s revenue recognition, but rather a beginning coding platform from Microsoft, the Micro:bit. She was also able to give the students their very first set of Legos! Find out more about the amazing Q. Learning School. And for some inspiration, enjoy the beautiful views the village enjoys every day, and the smiling faces of the children who greeted Shamica.